In just one visit and in about an hour a professional will use an advanced tooth whitening system to whiten your teeth. The process is easy, you sit back in our specially designed comfortable chair while a gel is applied and a special activation light is used on your teeth. In about an hour you have a whiter, brighter smile! This process has strong advantages. Simply put, it works and it’s fast! Have a date? Wedding to attend or job interview? Your results are immediate. You don’t have to use trays, gels or strips multiple times a day for weeks on end to achieve and maintain the same result. A custom tray is made to fit the contours of only your mouth. Once a day you fill the tray with whitening gel and wear it for approximately 60-120 minutes. Holds whitening gel close to your teeth and in between teeth for better results than a strip. This treatment is slightly less expensive than a professional whitening. 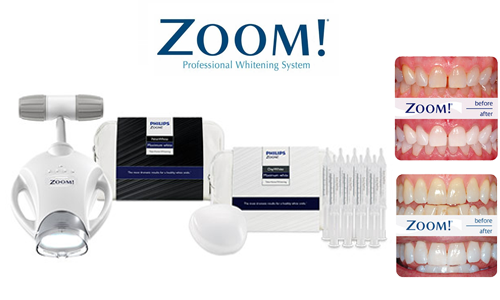 The Whitening solution can sometimes cause irritation to gums and sensitivity to the teeth. You may purchase whitening strips at any department store. This system generally uses a small plastic film “strip” that contains a weak whitening agent. You lay the strip across your teeth for the prescribed amount of time, which varies by product you chose, multiple times a day until you have achieved the desired tooth color. It works for some people, but misses the the spots in between the teeth. It is also a weak whitening agent (it needs to be safe) so many repeated applications are necessary. Many people avoid whitening their teeth because they are uncertain of costs. Crossings Dental solves this legitimate concern by providing to you treatment costs up-front. After your exam, we can better estimate your teeth whitening costs, with or without insurance if applicable. You will not be under any pressure to take on treatment yet when you leave you will have in your hands a full understanding of any treatments needs and their costs. 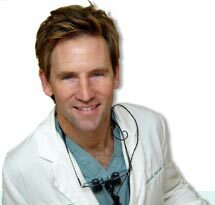 Dr. Murasko has over 18 years experience with teeth whitening, cosmetic dentistry and all types of dental implants.